True Power™ Technology delivers best-inclass power quality with less than 5 percent total harmonic distortion for clean, smooth operation of sensitive electronics and appliances. 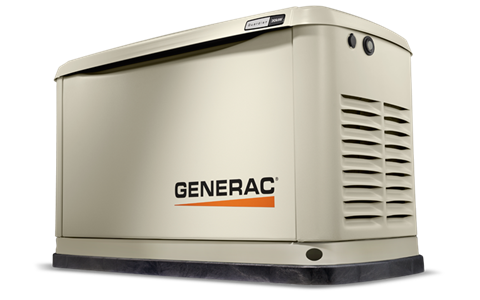 Generac’s G-Force Engines are purposebuilt, pressure-lubricated engine capable of handling the rigors of generator use, resulting in power that’s more reliable and requires less routine maintenance than any competitive engine. Tough, Durable All-Aluminum Enclosures. Our RhinoCoat™ powdercoated finish helps make corrosion-resistant aluminum perfect for all weather conditions. LPG - Half Load 66.8 cu. ft. / hr. LPG - Full Load 100 cu. ft. / hr. Natural Gas - Half Load 195 cu. ft. / hr. 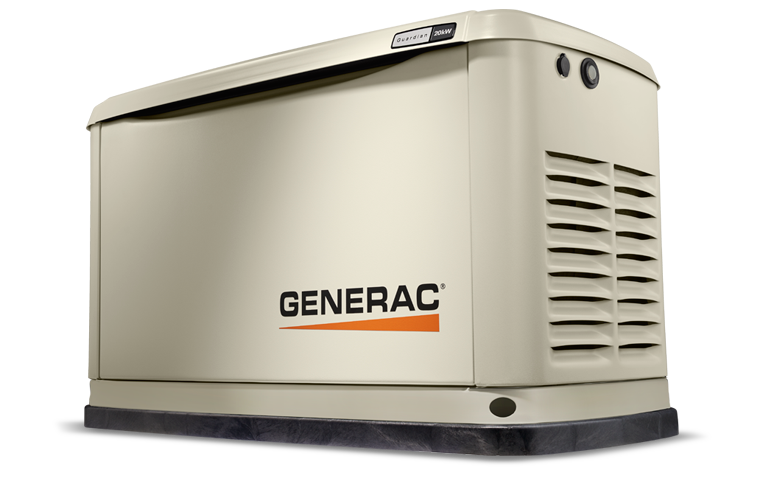 Natural Gas - Full Load 278 cu. ft. / hr. 66 dB @ operating at normal load.